CEED/Uganda Gold has completed another mission to Uganda whee we were able to provide drill or repair boreholes in 13 villages. We visited the workers on the Ugandan Gold Coffee Farm, and we expanded our food farm. Our health workers provided medical treatment for the workers on the farm, and also went into the villages to teach reproductive health, and pediatric first aid. We provided reading glasses for hundreds of villagers and left behind the tools that will allow reading glasses to be constructed locally. We worked hard for two weeks, and ended our visit with two days of relaxation at Queen Elizabeth National Park. 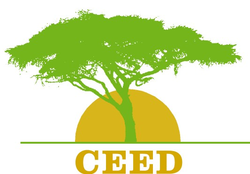 Here is a brief video of some of the sights and sounds of CEED 2014 Click here for video. For a powerpoint presentation on poverty alleviation and cultural awareness click here Part 12 of the Perspectives Course on World Mission.